Looking out to the marsh surround the walking trail at Deal Island WMA. 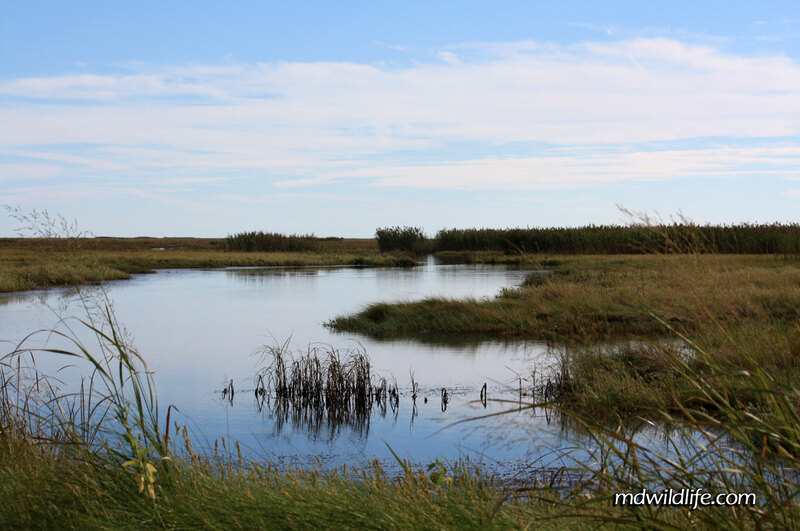 Deal Island Wildlife Management is a beautiful and expansive marsh area on the eastern shore of Maryland. 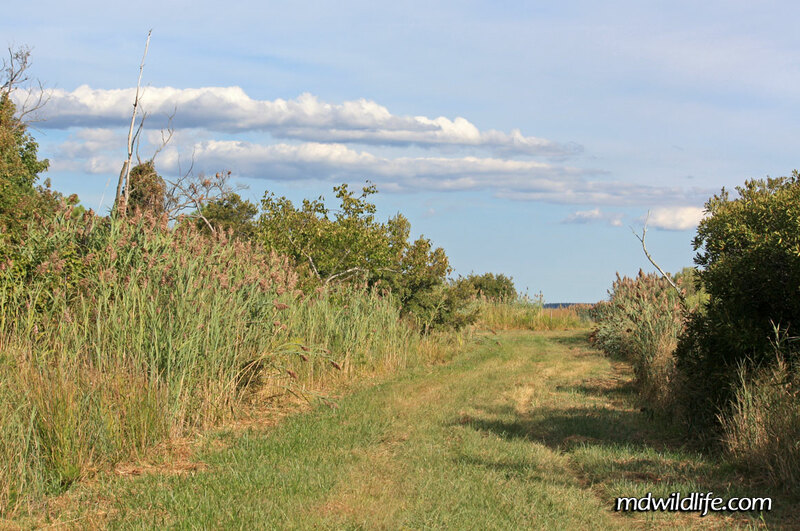 The Island WMA is just under 12,000 acres and is accessible by way of Deal Island Road (route 363), which runs right through the middle of the WMA. route 363 can be picked up right off route 13 – Ocean Highway. Deal Island Road runs right through the middle of the WMA and it is really one of the most tremendous and scenic wildlife drives I have ever come across. There is a left-hand fork off Deal Island Road I suggest taking that will take you south toward “Game Reserve Road.” Both roads can be found marked on Google maps. The walking trail at Deal Island. The tracked off marshland on either side is so great. It’s wide and low, with many openings. 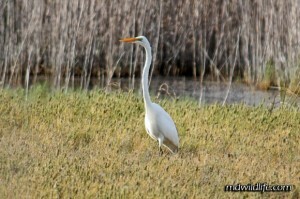 The visibility is fantastic and in the summer months you’ll pass by dozens of heron or egret. It’s just amazing ride to keep the window down and bump along the off-road trail. Some turn offs from the main road may be blocked off depending on the season, but you can take the unmarked road straight into a marked parking area, that is really just open grassland. At the edge of the parking area, there is a sign for the WMA and path behind a standard gate. The trail is wide and mostly grass covered. There are several picnic areas set up along the walk, but they look like they don’t get too much use. Small waterways run on either side of the path and there is the occasional small tree or grouping of bushes. To the right you can look across the marshland back to cars on route 363 off in the distance. The view to the left just seems to go across the marsh forever. As the trail continues you will move into an area with greater punks and tall grass on either side – I am guessing this area is used more for hunting of duck and some other game birds. The trail begins to split into several forks and paths among the tall grass and it almost gives the affect of a cornfield maze. 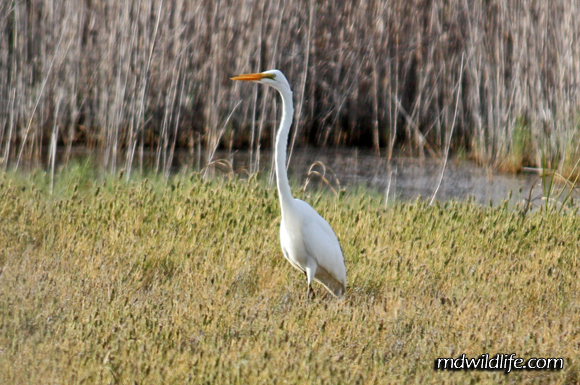 A Great Egret standing among the tall grass and marsh is a common site at Deal Island WMA. There are a few cutouts along trail where you can see out into the surrounding waters. There isn’t much cover from tall trees and no overhang, so if you plan on making a trip to Deal Island, make sure to bring some sunscreen. The walk can be very long if you want it to be, as the area is so massive and paths seem endless. There is no loop available, so whatever way you walk out, you’ll be walking back the same way. My one trip came in the late summer and the tall waterfowl was extremely plentiful – herons, egrets – but I also saw many species of butterfly, different insect life, frogs and other birds. I recommend Deal Island heavily. And it’s close enough to both Idylwild WMA and Assateague Island that it doesn’t have to be your whole day. It’s definitely worth a trip out in the summer months.